Burma’s Air Defense Force intends to deploy the S 125 Neva/ Pechora surface-to-air missile after Burmese army soldiers spotted an unidentified flying object assumed to be an Unmanned Aerial Vehicles (UAV) flying over eastern Shan State in early January. 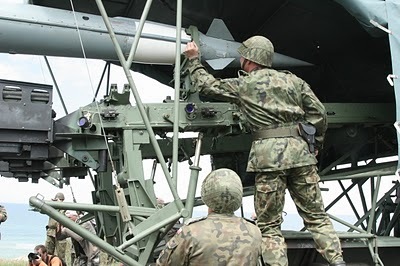 Originally from Russia, the S-125 Neva/Pechora is a kind of surface-to-air-missile (SAM) that has a shorter effective range and lower engagement than others. The UAV flew across Namhsan Township and was identical to a UAV spotted by government troops in the last week of December over Kengtung Township. The Burmese Air Force has reportedly been ordered to shoot the UAV down if spotted again in Burmese airspace. Normally, Burmese Air Defense Force battalions are equipped with 57 mm and 40 mm anti-aircraft auto-cannons, 37 mm anti-aircraft guns and Russia-made IGLAs, a portable anti-aircraft missile. Burma's military has sent junior Air Defense Force officers to Russia to be trained in portable air defense missile systems. During the NATO air strikes in Yugoslavia, an F-117 stealth aircraft was shot down by a Serb S-125 air defense system in 1999. Burma's military has two Air Defense Force schools, one based in Myitkina in Mandalay Division and the other in Hmawbi in Rangoon Division, and eight Air Defense Force commands.